Onam is a festival celebrated by the Malayalees. The most important part of thiruvonam is the 'Thiruona Sadya. Onasadhya is prepared on the last day of Onam, called Thiruonam. Sadhya is a vegetarian feast or banquet. The multi course meal is served traditionally in banana leaf. The sadya has steamed rice as the main ingredient served with many side dishes.. 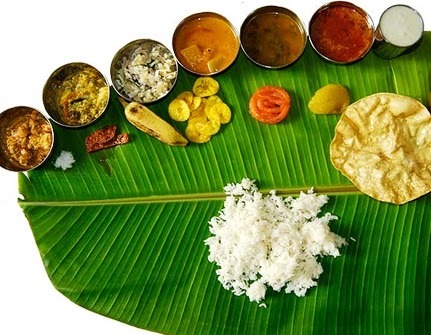 Here is a list of items and options to choose from to make your own Kerala Sadya at home. That Onam sadya looks so tempting. I'd love to try to dig in on one of those feast or banquet! Cheers everyone!